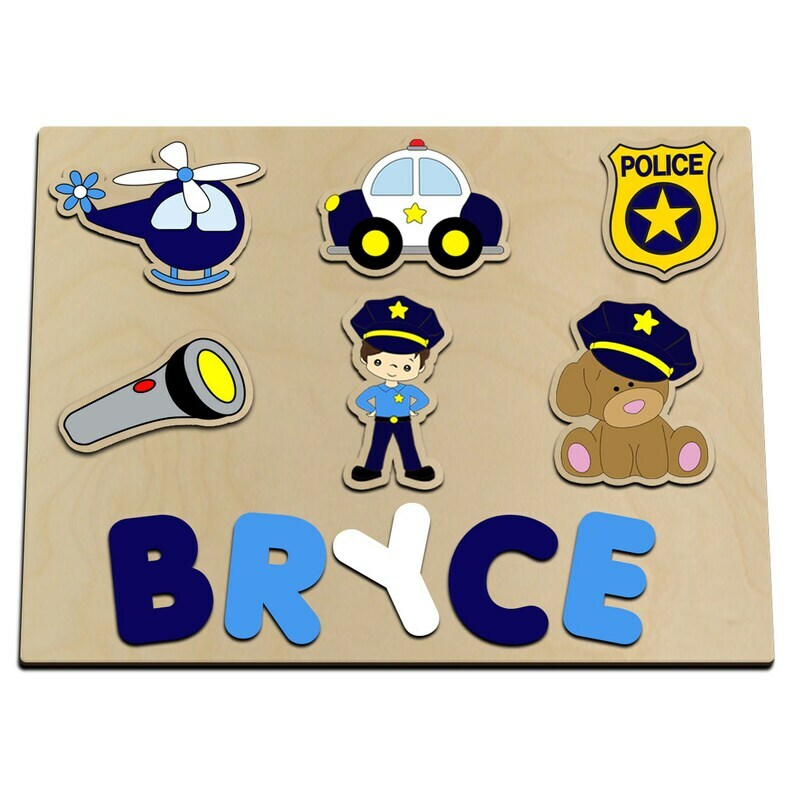 Our police man puzzle pieces have wood burned lines that are crisp and clean, and are hand painted by only painters that meet our high standards of quality in craftsmanship. These are not cheap appliqued pieces that peel after a few uses. Our puzzle pieces will hold up to normal childhood play for years to come. This puzzle will come with six hand painted pieces a police man, his car, a police dog, a badge, flash light and a helicopter. This puzzle measures about 9.5 by 11.5 and will hold up to 5 letters. If you like the Jungle friends theme but need it for a longer name or don't want all six characters then check out all of our Jungle Friends designs here.